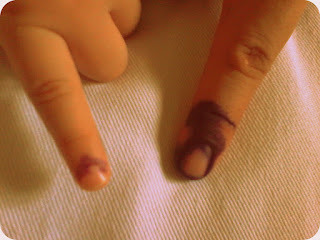 Alonzo got all curious and excited to see his dad's marked finger after voting. You may already know that purple is his favorite color so it wasn't surprising that he asked if he could also have his finger marked the same way. We simply dabbed his finger with a purple, non-toxic pen.